Well, race fans...it looks like we're going to get our wish. After all the talking, hoping, and back-and-forth between Jess Jackson and Mike Iavarone, the showdown of the year is now very likely. Curlin vs. Big Brown. For all the marbles. After Curlin's record-breaking victory in the Jockey Club Gold Cup Jess Jackson confirmed that Curlin would be shipping to California on Monday to prepare for his Breeders' Cup Classic defense - Pro-Ride and all. Give Jackson credit for changing his mind. Even though he is not excited about the artificial surface, he knows the best horse in the world belongs at the Breeders' Cup and it will be great for the sport. He also knew he had to be there to have any chance at Horse of the Year honors. Kudos Jess. As we touched on before, this could wind up being the deepest Classic in history. In addition to Curlin and Big Brown, the probables are littered with superstars - Commentator, Well Armed, Go Between, Casino Drive, Duke of Marmalade, Henrythenavigator, New Approach, Pyro, Student Council and a few more. If even 75% of these horses go to post it will be one of the most anticipated races in recent memory. And a great thing for the industry. There is plenty of time to analyze the Classic, but before we do that let's take a look back at a super weekend of racing. I came away very impressed with a number of horses. All those who continue to complain about the Pro-Ride, stop your negativety. 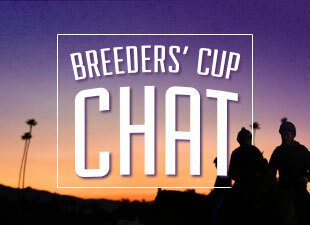 This is going to a great Breeders' Cup. First of all, Curlin's Gold Cup win was solid. He didn't have a perfect trip but still found enough to run down Wanderin Boy in the stretch - bad conditions and all. I thought Wanderin Boy would run a big race and he did. Curlin was just too much. And on to California he goes. Goodwood - Well Armed showed me a lot. He held off three very good horses in the stretch and defeated a talented field. Give Aaron Gryder credit for a perfect stalking trip. That was probably the difference for Well Armed. Because of his closing kick and preference for the artificial surfaces he will have to be respected in the Classic. Lady's Secret - What can you say about Zenyata other than she is spectactular? She only beat three but it was the way she did it. She went wide on the turn and went by like Hystericalady like she was standing still. In case you haven't noticed, Hystericalady is a pretty good mare. Nobody is supposed to go by her like that. I know her connections have said she will go to the Distaff, but wouldn't it be exciting if she ran against the boys in the Classic? That would make an already great race the most anticipated showdown in...well, maybe ever. Flower Bowl - Speaking of defeating good females, how about Dynaforce repelling Mauralakana? She finally put it all together. It looked like Mauralakana was going to go right by Dyanforce around the turn but she was turned back emphatically. Dynaforce might be getting good at the right time. She will be a definite factor in the Filly & Mare Turf. Vosburgh - Take nothing away from Black Seventeen. He ran a great race and surprised many. But I came away very impressed with Fabulous Strike in a losing effort. He ran a :21.75 quarter and :44.31 half in the slop while being pressed the whole way by J Be K and First Defence. Then he still has enough to fight Black Seventeen tooth and nail in the final furlong. It was a gritty effort. Despite all his physical problems and lack of seasoning over the past year, if he gets into the BC Sprint Fabulous Strike will be a huge factor. Oak Leaf - This was perhaps the most impressive performance of the day. If you haven't watched the replay of what Stardom Bound did, do yourself a favor and take a look. She breaks slowly, is next to last in a full field of 12 after a half-mile and comes about 10-wide into the lane. That explosion she showed in the stretch is very rare, especially from a 2-year-old filly. She is special and will be the probable favorite in the BC Juvenile Fillies. Mike Smith called her his "baby Zenyata." Watch out. Turf Classic - Grand Couturier took advantage of very slow splits, but still had to come wide into the stretch. When he did, it was a thing of beauty. He showed a powerful turn of foot to lock up his second consecutive grade I win. He proved he can win away from Saratoga. He is for real. Clement Hirsch - No way I could leave off a horse that set a new world record, and that's exactly what Red Giant did. His time of 1:57.16 broke a record that had stood for more than 17 years. Talk about impressive. Out of Control wasn't half bad in second either. The BC Turf should be one heck of a race too. I'd like to hear who you thought was impressive on Saturday.